We first arrived and took a quick look around to get our bearings before heading off to the Super Theatre tent for the Mollie Makes mash-up between Matt Chapple and Zeena Shah. Their task was to transform a lampshade in 45mins and all with the lovely Cath of Mollie Makes asking them questions and getting questions from the audience. Matt made a map covered lampshade with copper interior and Zeena printed and pom pommed her version. Both were lovely, but according to the audience, Matt won the battle. We got a quick pic of the gorgeous crochet flower wall too, which was originally a part of the Flowers for Memories project for Alzheimer's Society. It was so pretty, just a shame it was so dark in the super theatre. 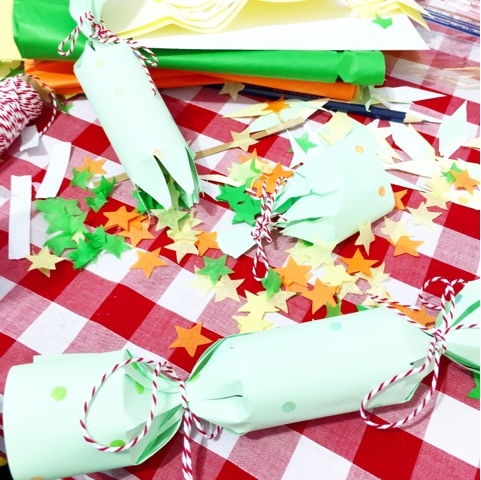 Then it was over to the Skills workshop tent where we were making confetti crackers with Zeena Shah. She took us through each stage, which involved printing with the rubber on the end of a pencil, cutting out the triangle points to make your cracker and punching confetti shapes from all the lovely tissue paper to put inside. We decided to start Christmas (apologies for mentioning it just yet) a little early and pulled our crackers before we left, as it would be rude not to surely! 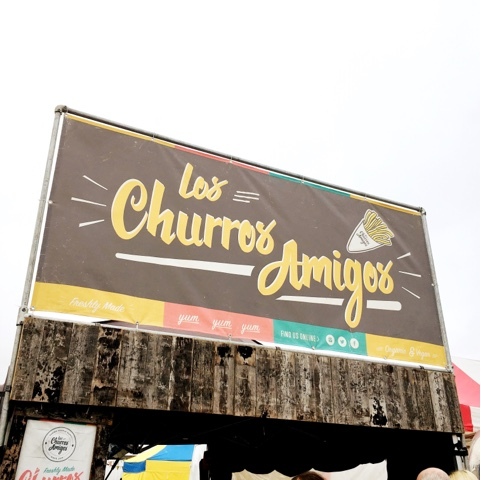 Of course, we couldn't go to the Handmade Fair without having the Churros! After the Bake-off this week, we were hankering even more for some Churros goodness! There were so many lovely food places though, from Sushi wraps to chips and so it was hard to choose what to have. They had a great selection of Dairy free as well, which made me very happy! I love it when people make it easy for me to choose and without having to ask and double check all the time. Then it was off to the shopping tents, where we may have bought a few items from the lovely Maud's Fabric Finds, who always has the most lovely fabrics and Sammy cannot resist, even though she has Sew Crafty, so it must be good! We saw so many people who we know, who were there to sell as well as just taking a look like ourselves and so it was a busy day of chatting and catching up. So lovely to meet some people in real life too, as we spend so much time speaking on social media sometimes, it really is good to have some real life conversations! 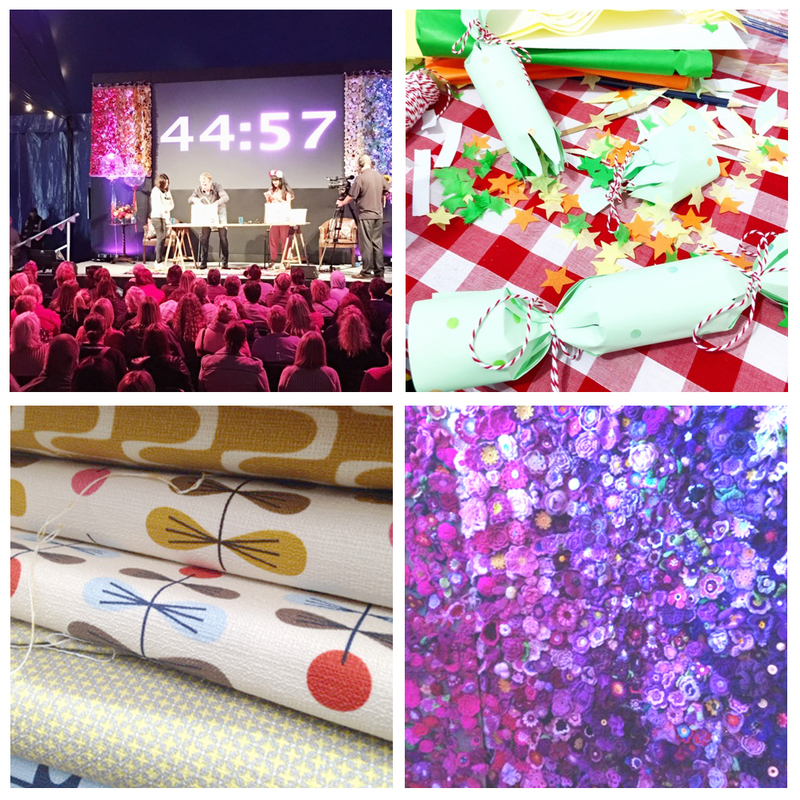 We got to catch up with Tilly and the Buttons, New Craft House, London Craft Club, The Silver shed, Cloth & Candy, Tea and crafting, Floss & Mischief, The Make Arcade and we even bumped into Portia form Makery, phew! Sorry if I missed anyone off, I am sure I have, but my brain can't keep up with all the fun! After all the shopping through the very busy tents, (which I am sure made for some very happy stall holders) with our spoils in tow and a happy heart of crafting goodness we just had to head home. We were shattered, all this enjoying ourselves takes it out of you, you know! We made a cheeky little video whilst we were there aswell, Subscribe to our Youtube channel for more videos coming soon. Did you go to the fair, what was your favourite part? 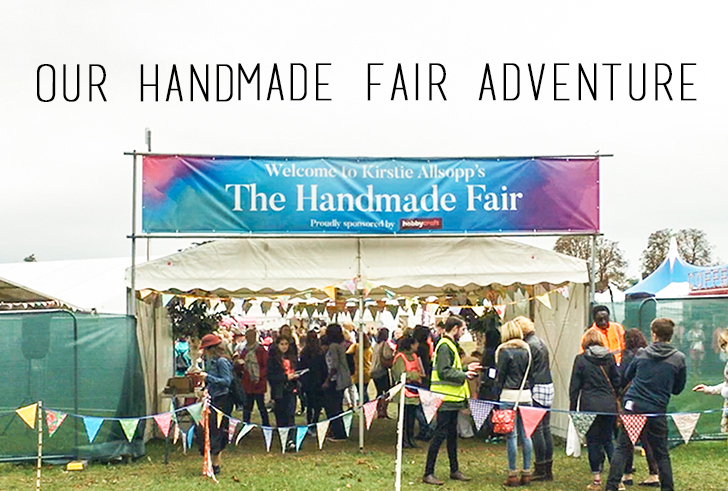 I think for us, it was getting to catch up with some of our favourite people and of course buy some lovely goodies, after all, that is what a craft fair is all about. Looks like a great day! Those churros look so good too!